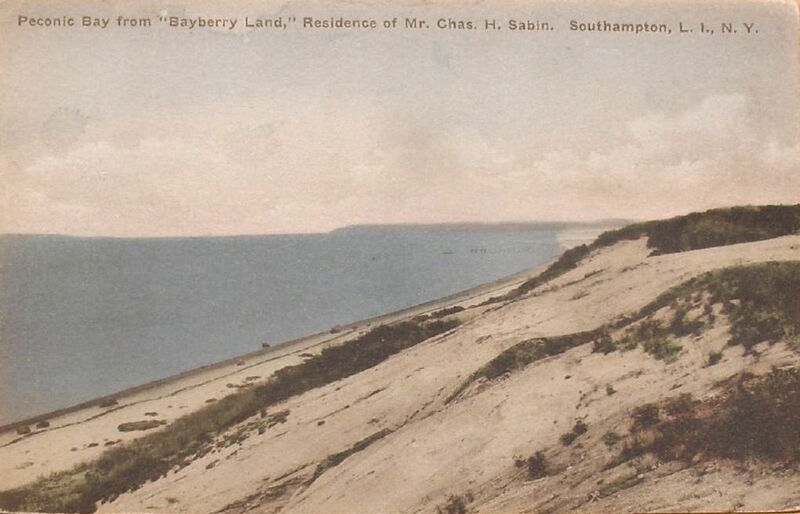 The view from 'Bayberry Land', the Charles Sabin estate designed by Cross & Cross c. 1918 in Southampton. 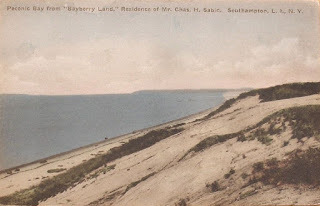 Click HERE and HERE for more on 'Bayberry Land' which has since been demolished. Alas. It was an important house. I think the stair railing, by the William Jackson Company, but still incorrectly attributed to Samuel Yellin, is still for sale. Probably too well designed for a McMansion builder. I don't know, DED -- if you read the comments to Zach's April 27, 2010 posting of 'Bayberry Land' you'll see someone provided a link to where the stair railing was for sale. The link no longer shows the railing so either it sold or the seller's webpage (urbanarcheology.com) was reworked / expired. But I agree: those railings have too much craftsmanship for almost anything being built today. Thank you Anon 7:50AM -- it isn't that I was too lazy to go looking for it on my own ... or that my search skills are mediocre on a good day ... I just wanted to give someone else the opportunity to contribute. Yeah, that's what it was. I was writing a piece about provenance, and tracked the Baybarry land railing, and its incorrect Yellin attribution, through the marketplace,from its sale at Freeman's in Philadelphia ("the person who wrote that catalog entry is no longer employed by us"), to Urban Archaeology ("Oh, Yellin did it for the Jackson Company"---wishful thinking). Yellin DID do the ironwork on the Sabin's townhouse, but the Southampton work is by Jackson---which is nothing to be ashamed of, but clearly Urban Archaeology is not going to change it. Everyone I know who still speaks this way is in their mid-Seventies or older. Ancient, it was a sign of the times ... & a maybe welcome alternative to what we have today: Sup?